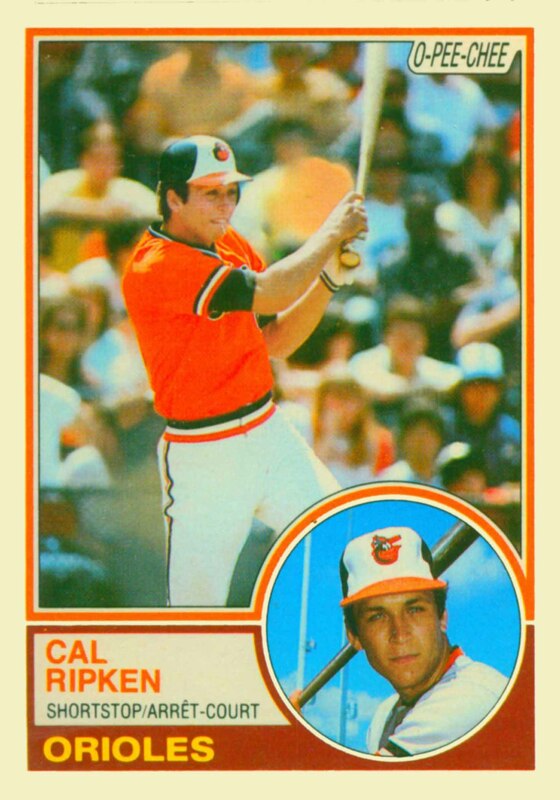 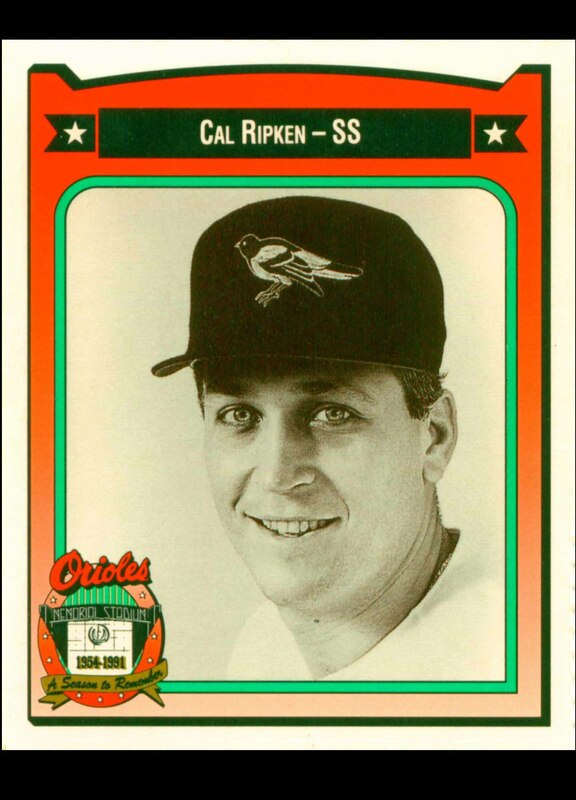 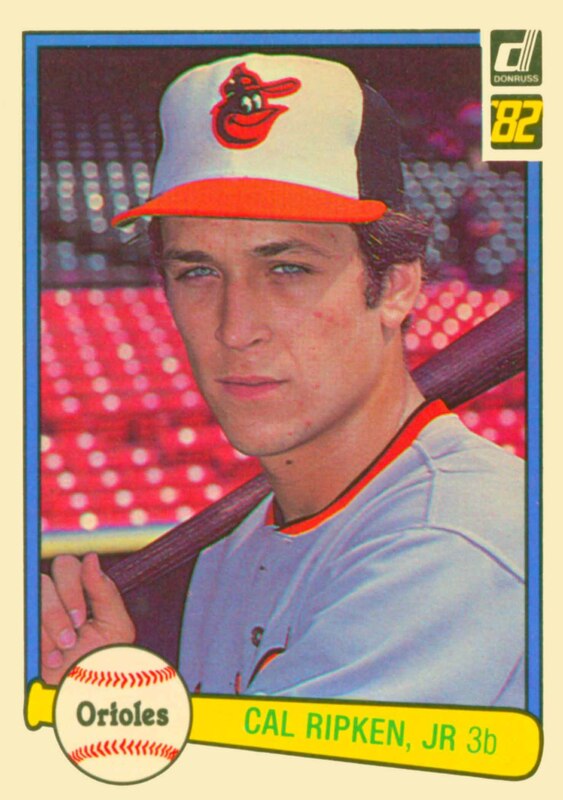 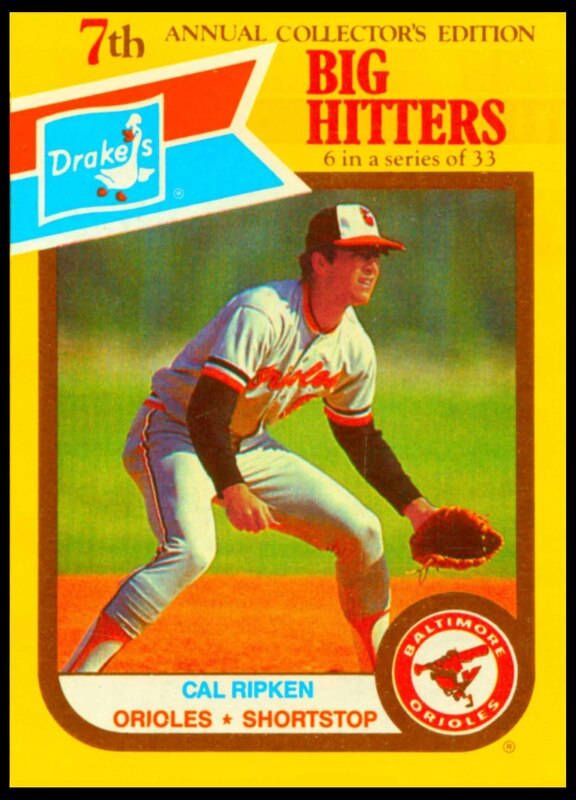 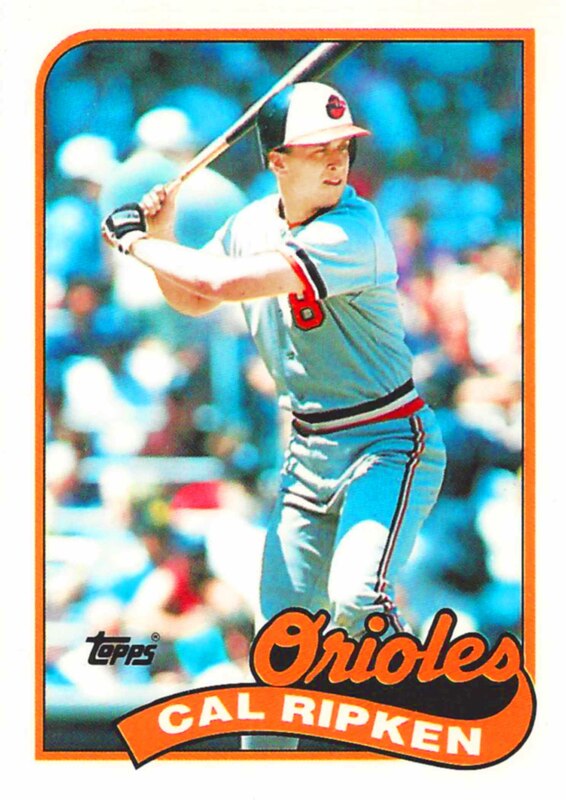 Cal Ripken Jr. was voted the 1982 American League Rookie of the Year. 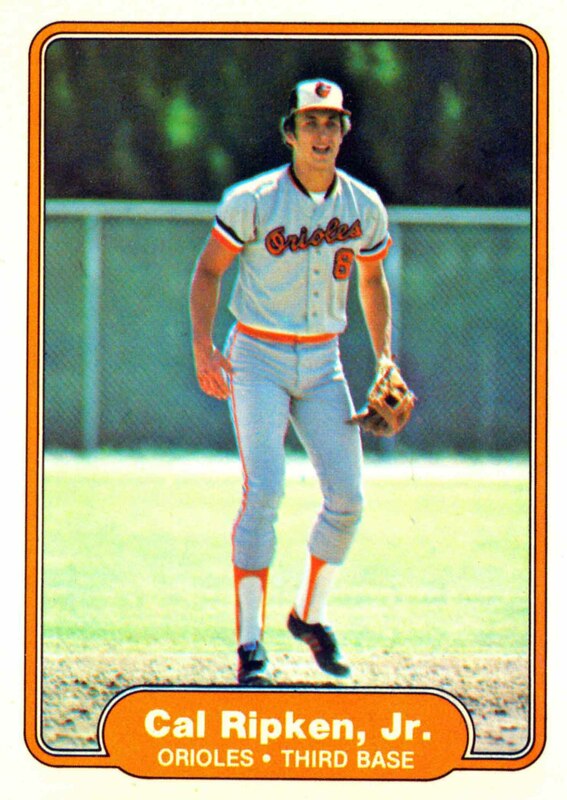 He was selected to 18 All-Star teams and he was a member of one World Championship team. 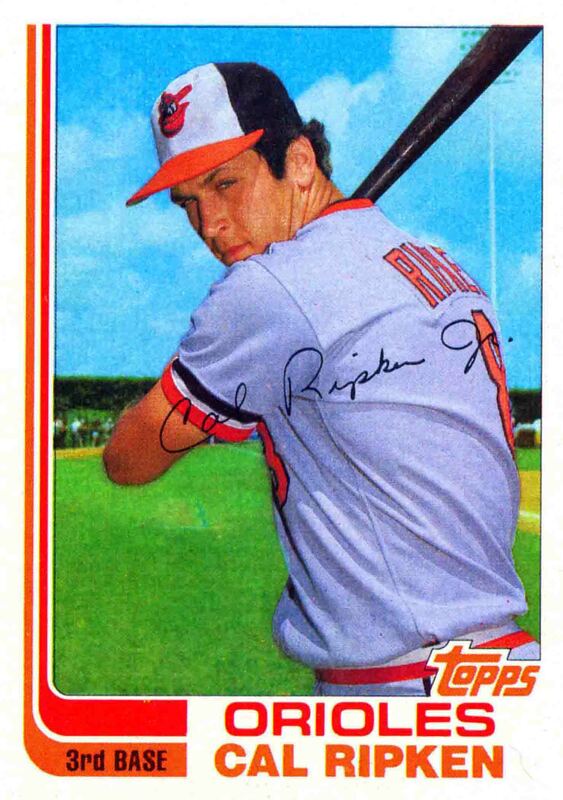 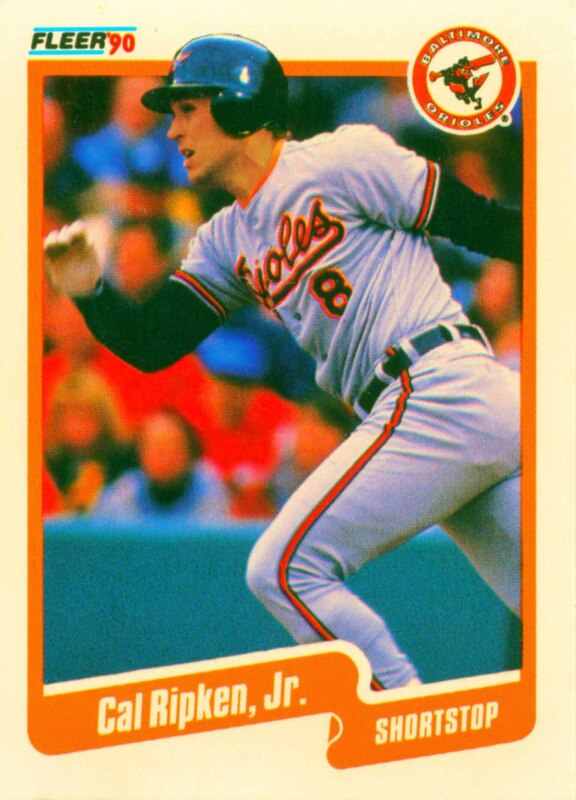 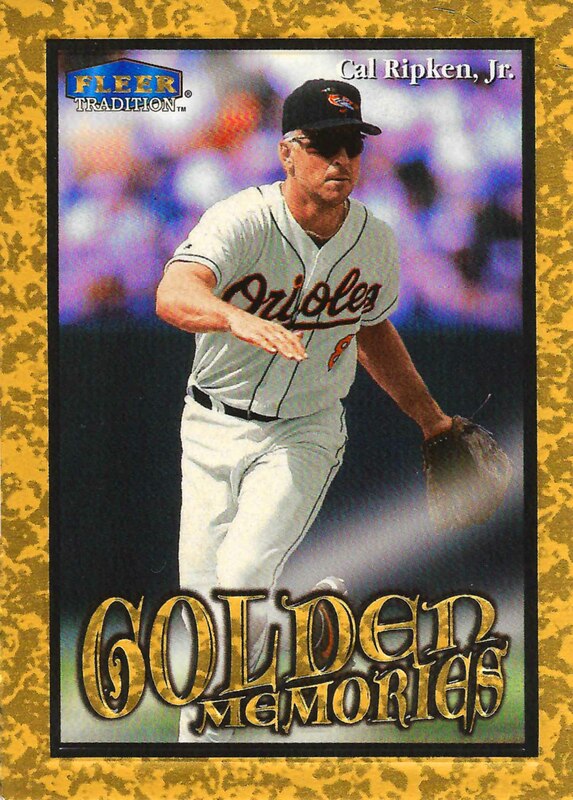 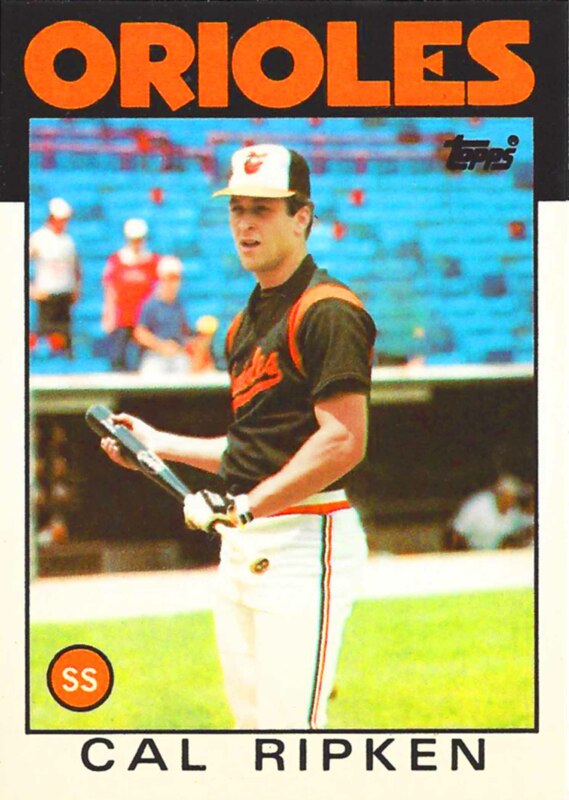 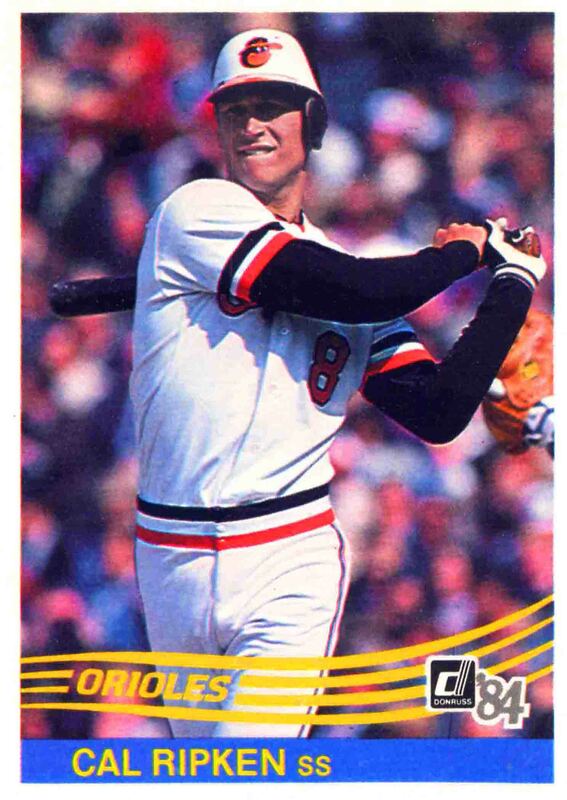 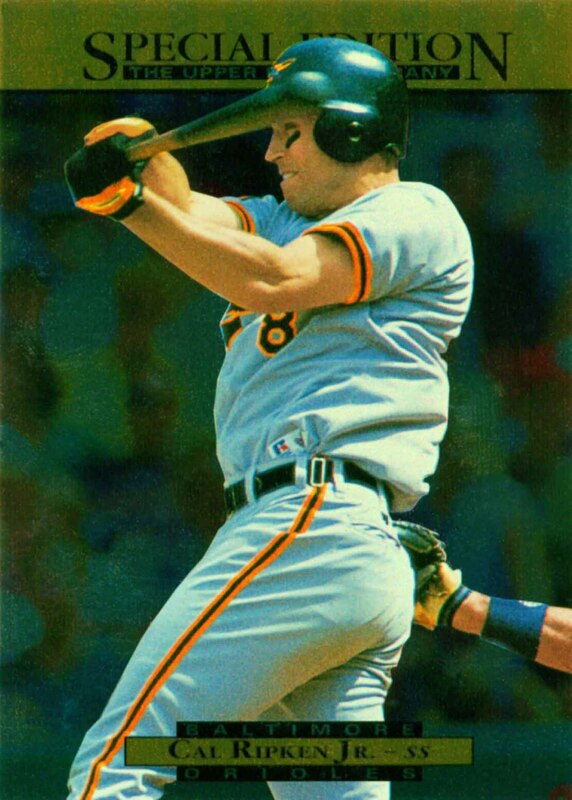 Ripken won two Gold Gloves and was voted the American League Most Valuable Player twice, in 1983 and 1991. 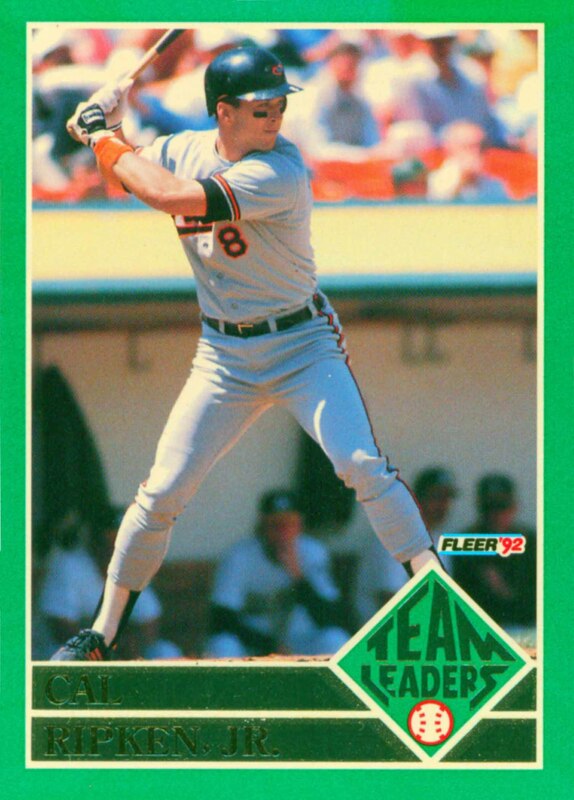 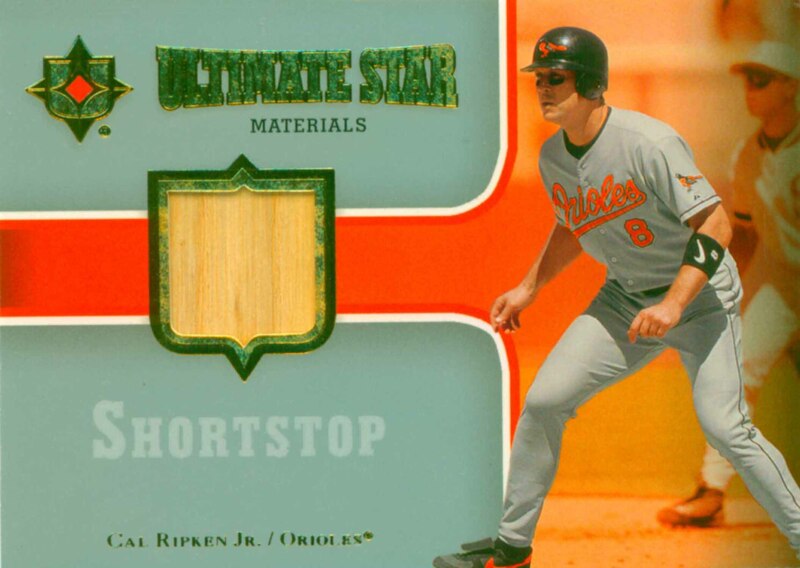 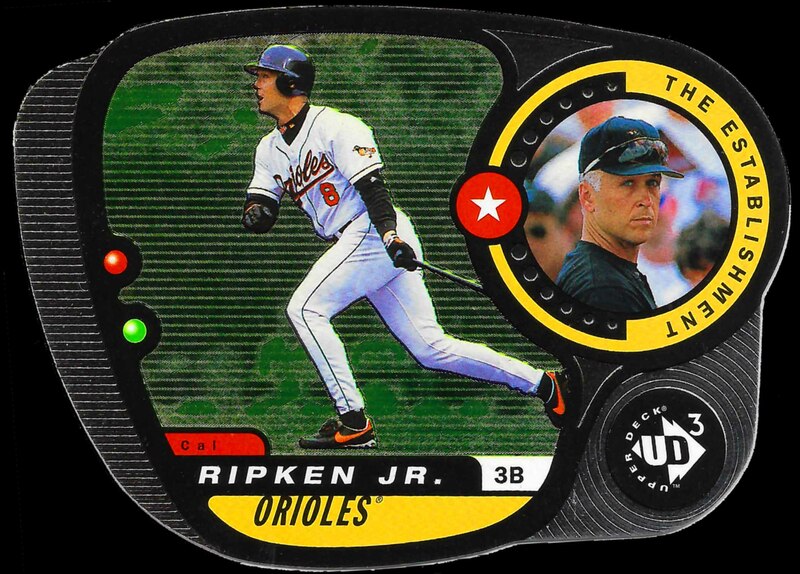 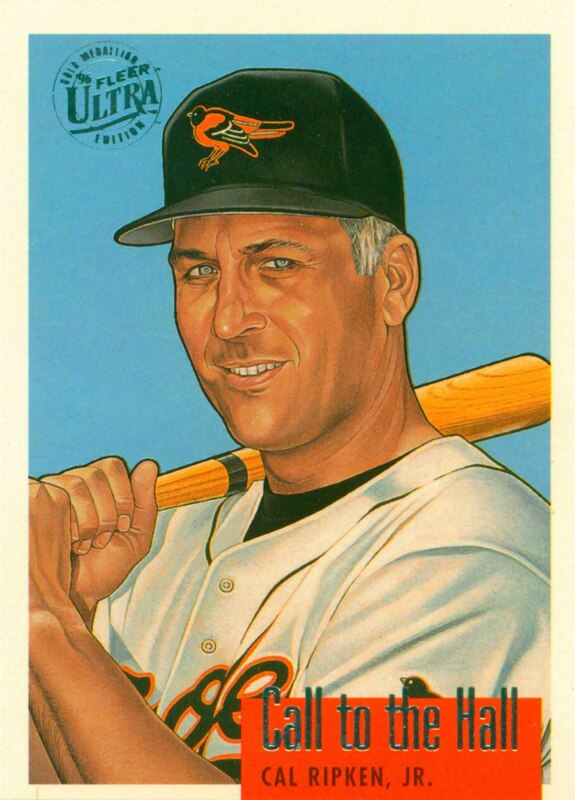 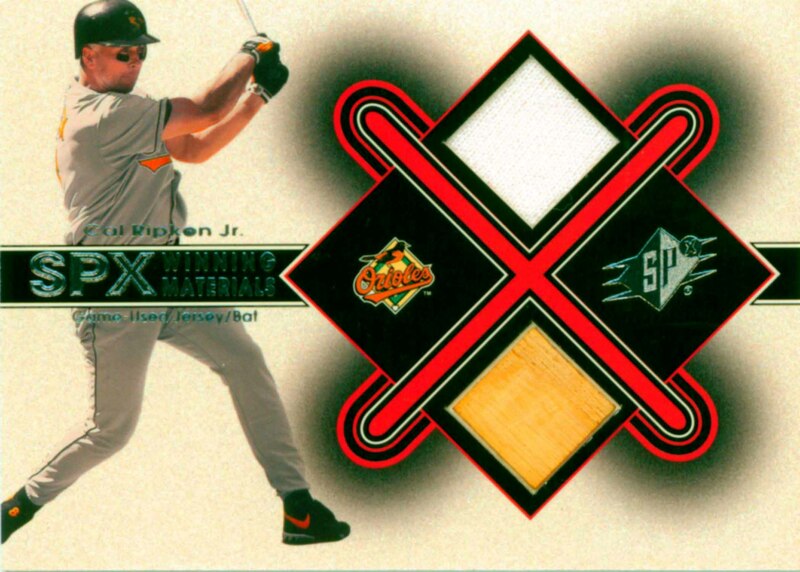 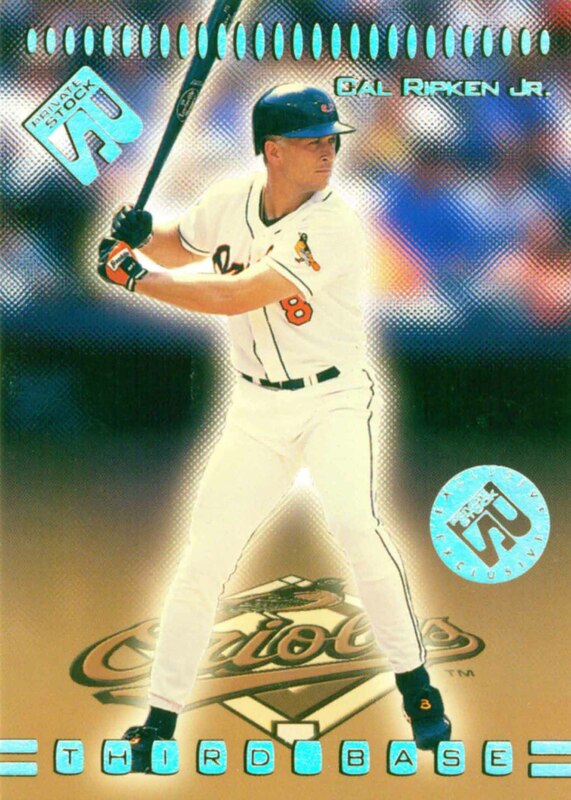 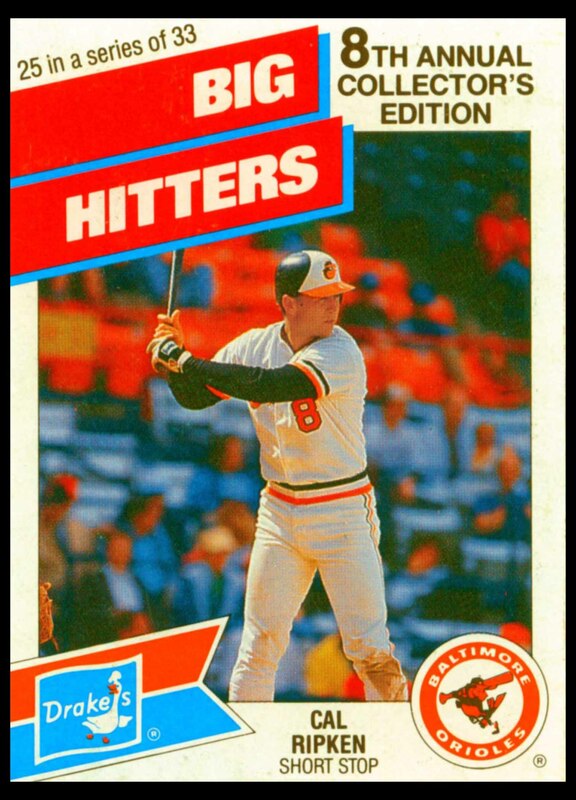 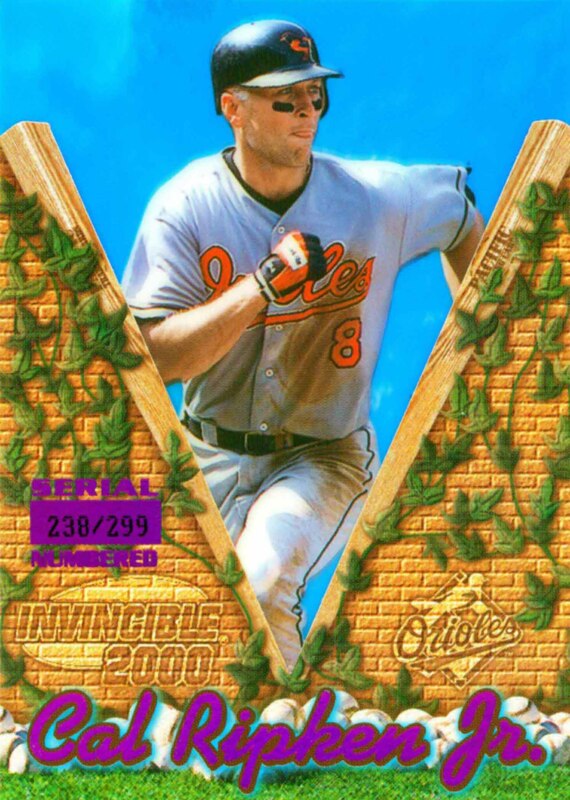 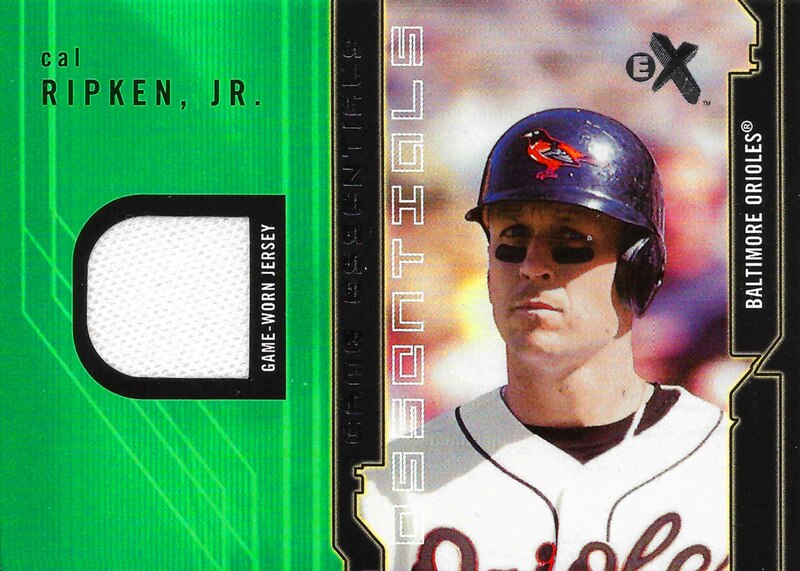 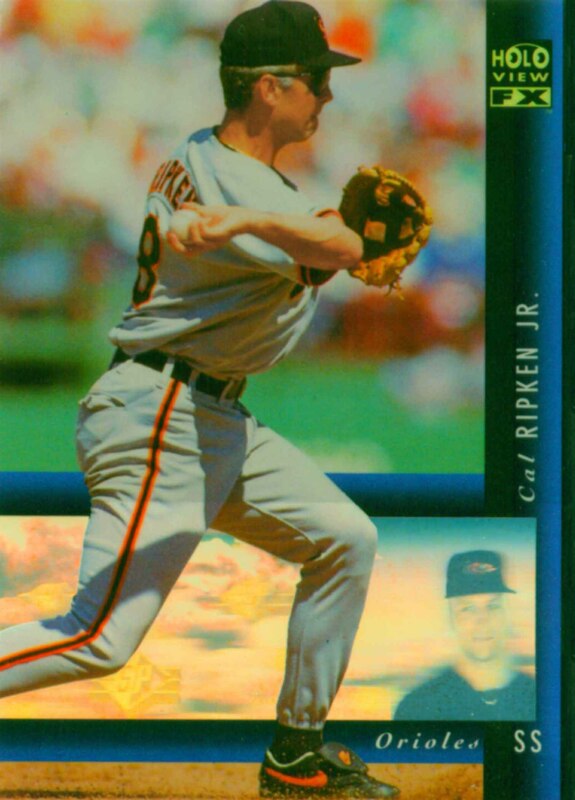 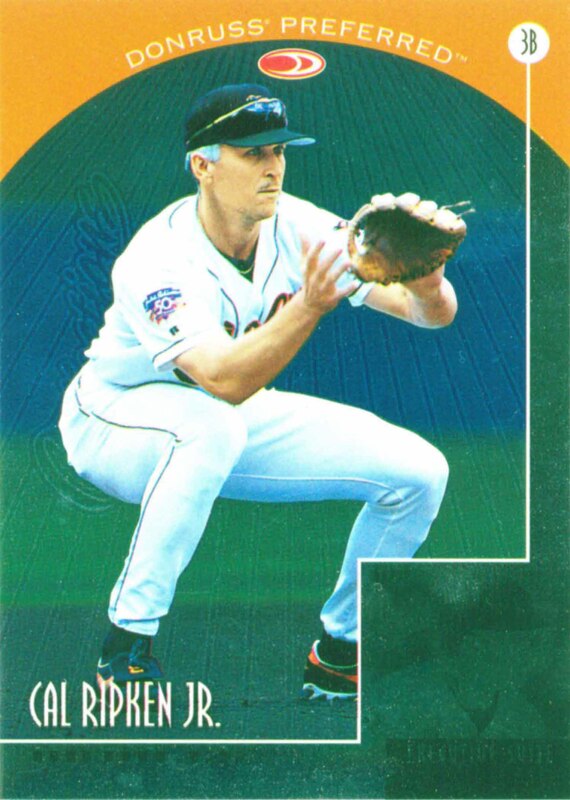 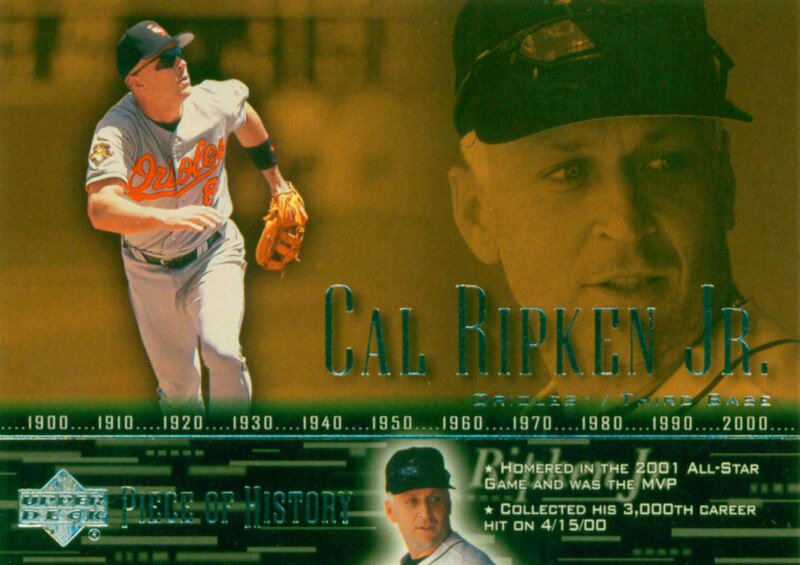 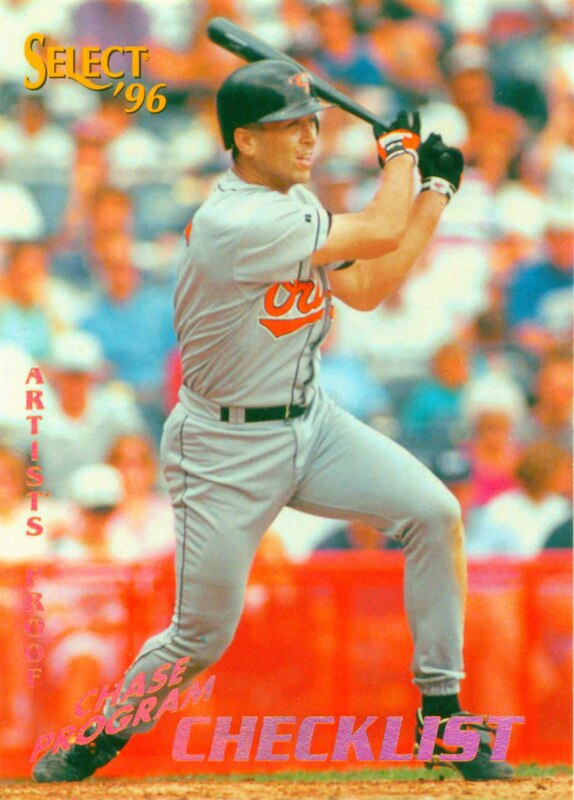 In 1998 Ripken set a new record with 2632 consecutive games played. 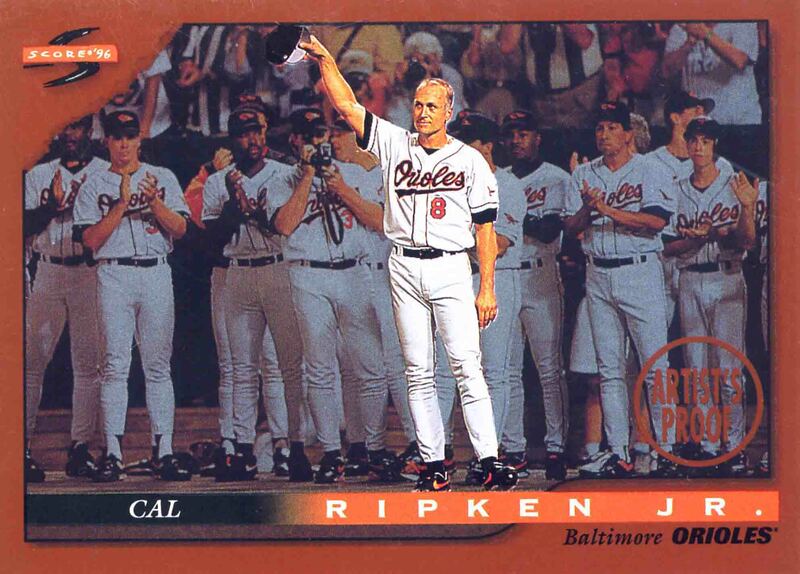 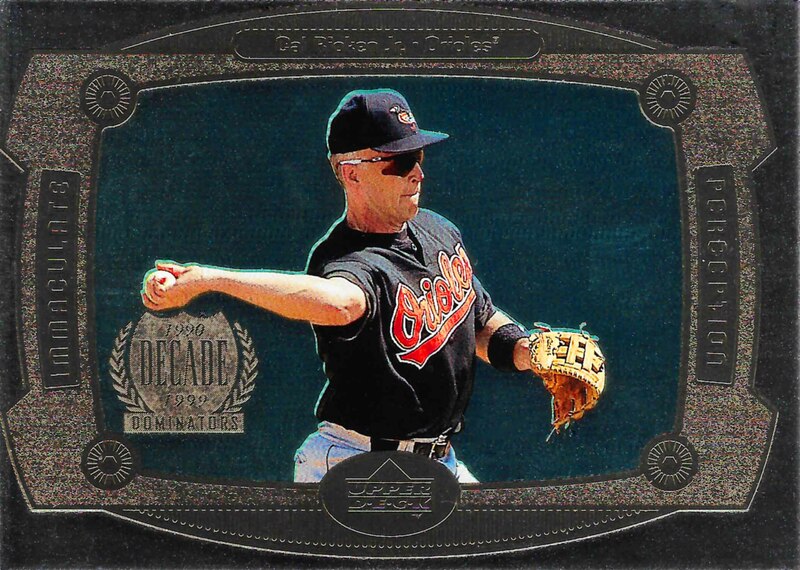 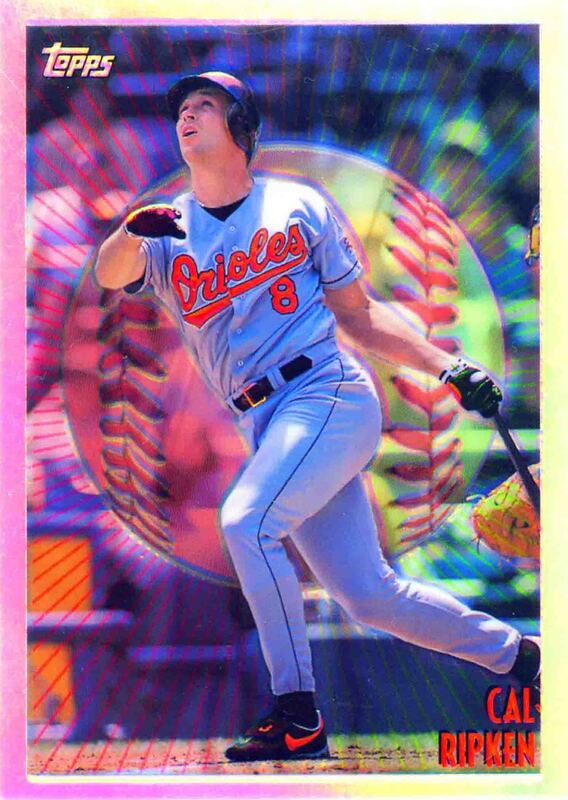 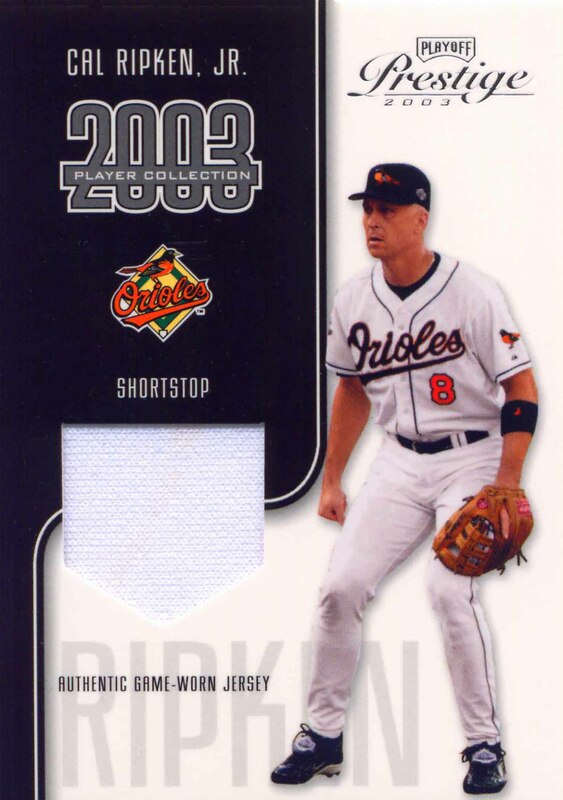 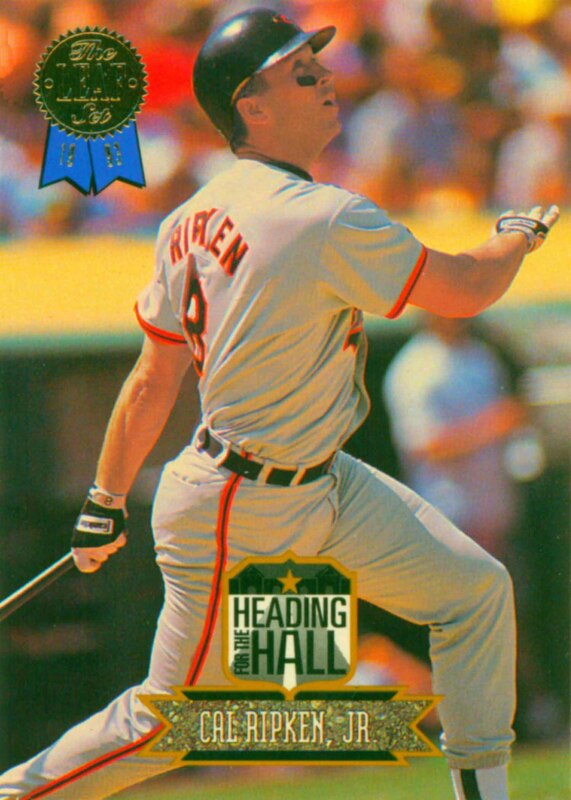 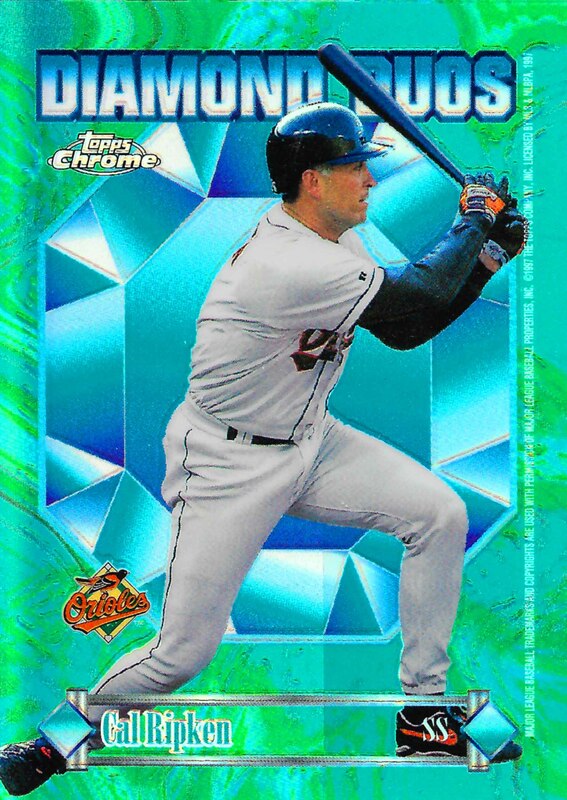 In 2000 Ripken was named to the All Century Team and in 2007 he was elected to the Hall of Fame. 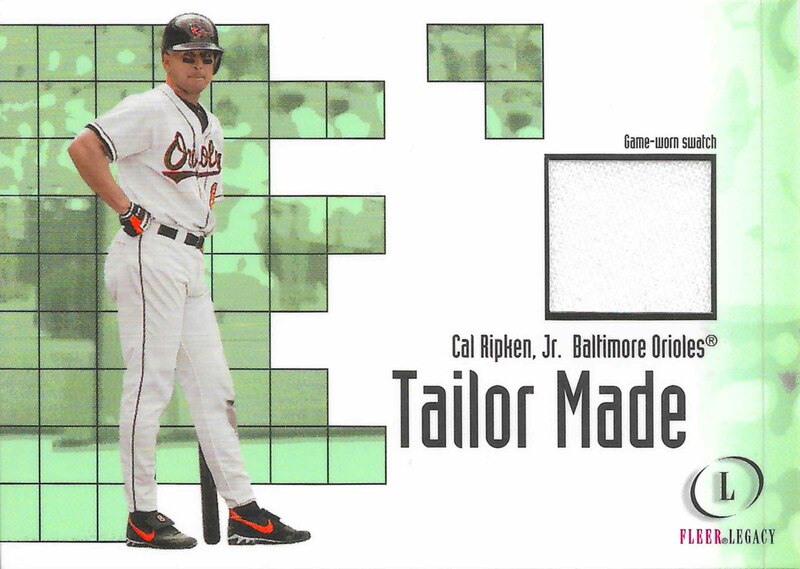 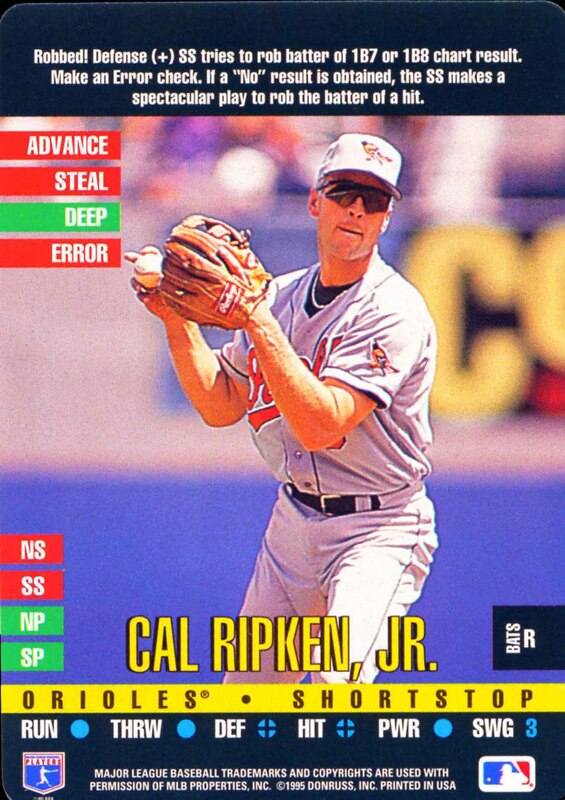 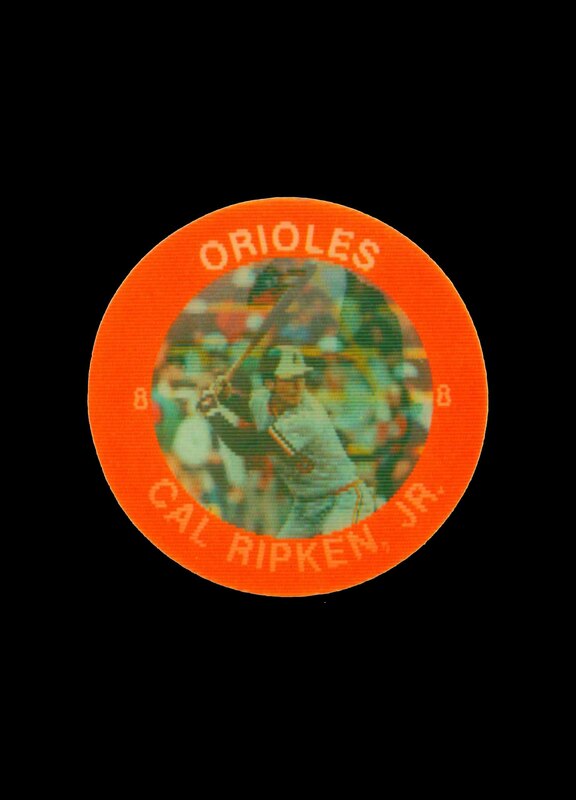 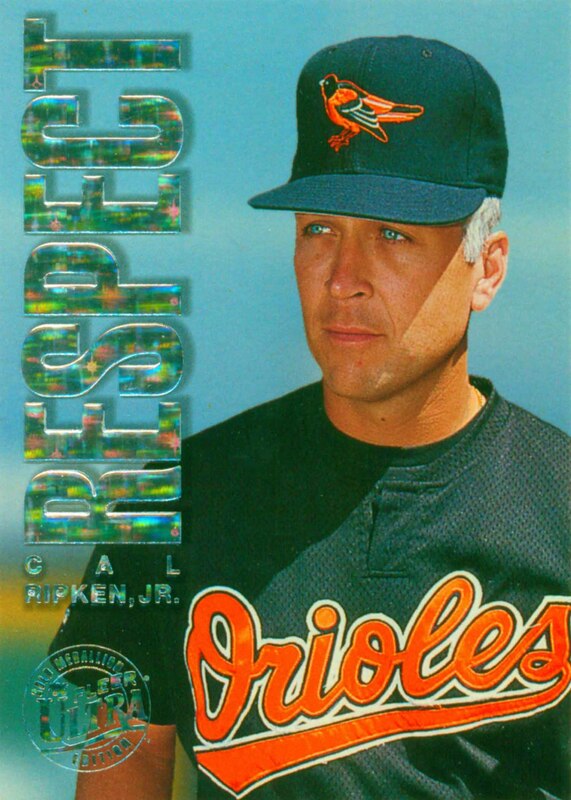 Cal Ripken Jr. 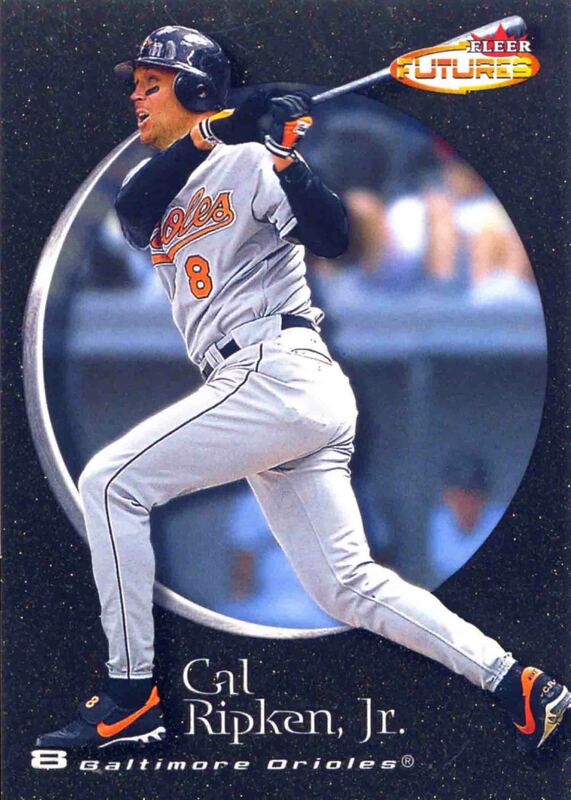 Baseball Cards that I have for sale.